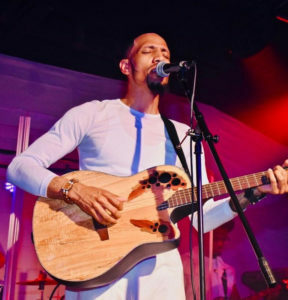 For over a decade, the Judah Band has been infiltrating the gospel music industry with its own unique brand of feel-good rhythms, a fusion of fashion fads and elaborately produced concept music videos. They reached a new height of success earlier this year with their current radio single, “For My Good,” which has been garnering over 20K streams a week on various social media platforms such as YouTube and Spotify. They’ve also been recently signed to Light Records and have released two EP’s “For My Good,” and “More Than I Ever Expected,” in anticipation of the upcoming album “Gone Fishin’,” expected to be released late this summer. Now, the group’s charismatic lead singer, Randy Weston, has revealed that the ensemble’s breakthrough hit, “For My Good,” was inspired by his personal battle with cancer. On National Cancer Survivors Day, the lead singer shared his story of triumph over the dreaded disease. This entry was posted in Gospel, Reviews, Testimonials and tagged cancer, Judah Band, Randy Weston, Testimony by Kris Patrick. Bookmark the permalink.